A market analysis of your home will help you determine value. This involves analyzing the current competition, or, other similar properties currently on the market. I’ll look at properties that have already sold, to determine what people have been willing to pay for similar properties. I will also analyze properties that haven’t sold, some of which are overpriced. When you are ready to sell, I’ll be happy to stop by for a quick view of your home. Together we will price it to sell for top dollar, in the shortest amount of time, with the least amount of inconvenience to you! 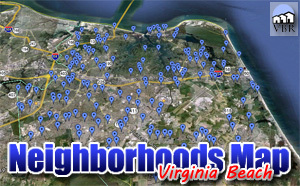 Please call Tom at 757-589-1237 and let’s get started! ← Why Are All These EXIT Agents Trying To Get Me To Come To Their Office?